Millennium Momentum Foundation, Inc. 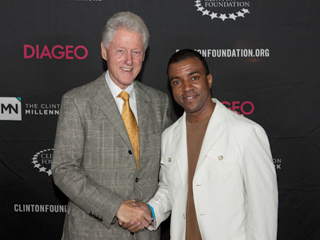 Founder & CEO, Jason L. Seward, hosted President Bill Clinton in Los Angeles on October 8, 2012 in support of the Clinton Foundation Millennium Network. Through this initiative, Seward is helping President Clinton and Chelsea Clinton to inspire and encourage the next generation to address global challenges, and invite future leaders and philanthropists to get involved in the work of the Clinton Foundation. More than 5,000 members from across the country and around the world support the Millennium Network. With each event, we continue to build a global network of young leaders and philanthropists with the goal of providing a forum - both online and offline - to discuss how we can have a meaningful and positive impact on shaping our future and how to transform ideas into action. The Millennium Network, led by Honorary Chair Chelsea Clinton, hosts a series of events in major cities in the United States and abroad. The Millennium Momentum Foundation, Inc., was presented with a Congressional Record in July of 2012 on the agency's 10th anniversary of public service. The Millennium Momentum Foundation, Inc. (MMF) inspires young adults to empower themselves through higher education. By targeting their financial aid, mentoring services, and leadership training services to students of diverse ethnic backgrounds, MMF is helping young individuals lay claim to a rewarding professional career. 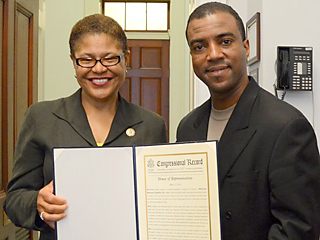 In light of their commitment to outreach and advocacy on behalf of underserved youth, MMF was presented the Congressional Record. MMF is an exemplary example of public service and leadership in our society. Thank you to the Millennium Momentum Foundation for changing the lives of youth and our community. Click here for the full Congressional Record. 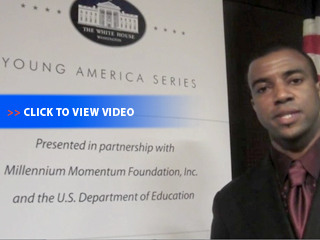 In conjunction with Millennium Momentum Foundation, Inc. and the U.S. Department of Education, the White House Young America Series are non-partisan regional conferences held across the country this spring. The historical multi-city series is designed to bridge President Obama's vision with the needs of young people by connecting them with the local and national resources and networks they need to meet the challenges of the 21st century. On Monday, February 27, 2012, Arizona State University - Tempe campus hosted the first of the White House Young America series drawing hundreds of ambitious young leaders, Senior White House officials, and representatives from the U.S. Department of Education. Jason L. Seward, Founder and CEO of Millennium Momentum Foundation, Inc. reflects on the success of the initiative in Tempe, AZ, applauds the historical partnership executed, and prepares for the next scheduled site for New Orleans, Louisiana on Tuesday, March 13, 2012 at the historical Gallier Hall on St. Charles Avenue. Other cities in the series scheduled include, but are not limited to; Chicago, IL; Los Angeles, CA; Austin, TX; Detroit, MI; Atlanta, GA; Seattle, WA; Denver, CO; Charlottesville, VA; Raleigh, NC; Syracuse, NY; Omaha, NE; and more. Motown Living Legend Smokey Robinson, Awarding-Winning Actress Cicely Tyson, and other headliners come out in support and pack the Dorothy Chandler Pavilion to champion support for Millennium's 8th Annual Opening Doors Scholarship Awards Ceremony & Benefit Dinner held on Thursday, November 3, 2011 at the Dorothy Chandler Pavilion, former home to the Oscars, in downtown Los Angeles. 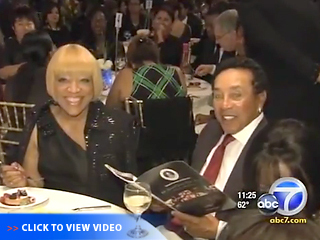 Smokey Robinson received the prestigious 2011 Humanitarian of the Year Award. Other honorees included Michael Dolphin, Althea Alexander and others. Funding generated will support over $50,000 in academic scholarships for college students demonstrating financial need, leadership potential, and academic merit. In addition to academic scholarships, students recognized will receive practical leadership development skills training, mentoring and more to ensure that they can transition effectively into employment upon completing their academic objectives. 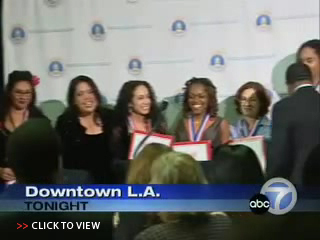 CBS 2 News features the prestigious 7th Annual Opening Doors Awards hosted by Millennium Momentum Foundation, Inc. on Friday, November 5, 2010 at the world-famous Dorothy Chandler Pavilion, former home to the Oscars, in downtown Los Angeles. 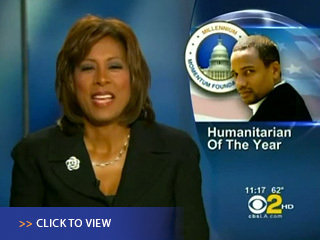 Coverage showcases Award-Winning Actor and Author Hill Harper receiving the 2010 Humanitarian of the Year Award, along with over $45,000.00 being awarded to Millennium's Best & Brightest Scholars pursuing higher education and careers in public service fields. Actress Vanessa Bell-Calloway, Hall of Famer A. C. Green, Actor and Comedian Flex Alexander, Actress and Millennium Momentum Foundation, Inc. National Spokesperson Tatyana Ali, Singing Sensation "Shanice", and others came out to embrace the organization's compelling progress and service delivery continuing to propel it to becoming one of the leading providers of leadership development training in the Nation. NBC features Millennium Momentum Foundation, Inc. on the special annual feature "The Big Give Away", highlighting those distinguished charities making a major difference around the nation and the Hollywood entertainers lining up in support. 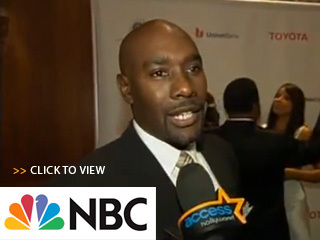 The December 2009 feature showcases students being impacted by service delivery, Hollywood headliners Actor Morris Chestnut, Actress Vivica A. Fox, National Spokesperson & Actress Tatyana Ali, Actress Lisaraye McCoy, the organization's Founder & CEO Jason L. Seward's vision highlighted, and much more. The coverage also captures the organization's profound academic and professional development impact around the nation, from its Best & Brightest Scholarship Program which awards over $45,000.00 annually to aspiring college students in need, to its highly anticipated National City of Opportunity Initiative, which is its State-of-the-Art leadership development and mentoring initiative being embraced by cities and corporations in public-private partnerships around the Nation to mentor, train, and support those young people that seek to reinvest in their local communities through careers in public service. Millennium Momentum Foundation, Inc. launches its historical National City of Opportunity Initiative, a national public-private partnership initiative that funds financial aid, leadership development training, and mentoring for high school seniors, career-oriented youth (ages 18-24), and college students from low income backgrounds in targeted cities around the nation. Award-Winning Actress & Millennium Momentum Foundation, Inc. National Spokesperson Tatyana Ali addresses the media on hand, as the Southern California Initiative Fall Track launched in Hollywood Hills on August 22, 2009, which will target Greater Los Angeles, South Bay Cities & Gateway Cities from September 2009 thru February 2010. High-Acclaimed celebrities, civic leaders, and corporate executives from around the Nation packed the Dorothy Chandler Pavilion, former home to the Oscars, in downtown Los Angeles in support of Millennium Momentum Foundation, Inc.'s prestigious Opening Doors Scholarship Awards Ceremony & Benefit Dinner. Event Honorary Chair Congressmember Lucille Roybal-Allard, U.S. Congressmember Judy Chu, Award-Winning Actor Andy Garcia, ABC-7's Ugly Betty Star Actor Tony Plana, Oscar-Winning Actor Louis Gossett, Jr., and many others were in attendance in support of the organization's efforts to educate and professionally develop the next generation of leaders in the nonprofit and public sectors. 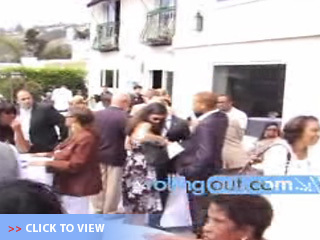 "Rolling Out" broadcasts the historical launching of the Millennium Momentum Foundation, Inc. National City of Opportunity Initiative in Hollywood Hills, California on August 22, 2009. 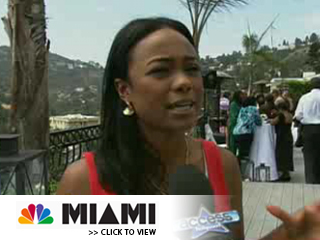 Rolling Out's Fabiola Ferere interviews Actress Tatyana Ali on site at launching and discusses her role as the National Spokesperson of Millennium Momentum Foundation, Inc. and the organization's historical public-private partnership efforts to expand the National City of Opportunity Initiative across the nation to benefit youth and college students from low income communities seeking to reinvest in their communities through careers in public service. Millennium Momentum Foundation, Inc. launches its historical National City of Opportunity Initiative, a national public-private partnership initiative that promotes and funds financial aid, leadership development training, and mentoring for high school seniors, career-oriented youth (ages 18-24), and college students from low income backgrounds in targeted cities around the nation. Award-Winning Actress & Millennium Momentum Foundation, Inc. National Spokesperson Tatyana Ali addresses the media on hand, as the Southern California Initiative Fall Track launched in Hollywood Hills on August 22, 2009, which will target Greater Los Angeles, South Bay Cities & Gateway Cities from September 2009 thru February 2010.